The Payment Card Industry Data Security Standard (PCI-DSS) is a set of security standards designed to ensure that all companies that accept, process, store or transmit credit card information maintain a secure environment. Javin is a leading PCI-DSS provider and ideally placed to help you become and stay compliant. Payment Card Industry (PCI) Awareness training aims to educate organizations that must comply with PCI Data Security Standard (PCI-DSS) and to apply PCI-DSS security principles across your business. The increased awareness of PCI-DSS standards helps organizations to improve their security posture and reduce the overall risk to cardholder data. Javin conducts Introductory PCI-DSS awareness sessions as well as run the annual and ongoing security awareness program as per the PCI-DSS standard guidelines. Javin acts as trusted advisor to provide ongoing support and guidance through the remediation phases of a PCI-DSS compliance. These services includes help with product selection, installation and configuration. Creation of policies, procedures and standards as per the standard guidelines also forms part of the remediation services. Our penetration testing and vulnerability assessment team delivers annual or ongoing programme of penetration testing and vulnerability assessment to help meet PCI-DSS requirements. This includes internal and external application and network vulnerability/penetration assessment services as per the PCI-DSS guidelines as well as ASV (Approved Scanning Vendor) scan services. At Javin, we also provide add on remediation support to mitigate the vulnerabilities uncovered during the scans. PCI-DSS compliance is an ongoing process which involves doing tasks on a periodic basis be it daily, weekly, monthly, quarterly, half yearly and yearly. These periodic tasks are essential in maintaining PCI-DSS compliance. We provide continuous compliance services to help maintain PCI-DSS certification. This whole process makes the PCI-DSS annual audits a smooth journey for our customers. The team at Javin has years of experience including auditing and certifying National Switches, global banks, multinational financial institutions and designing patents pending payment processing systems as per the PCI-DSS guidelines. Upon completion of the remediation phase in a PCI-DSS cycle, we can prepare you for the final PCI-DSS audit. We help organisations in getting PCI-DSS level 1 and Level 2 onsite audits using a QSA resulting in AOC (Attestation of compliance), COC (Certificate of Compliance) and ROC (Report on compliance). Using our Qualified Security Assessor (PCI QSA), we complete the audit and liaise with your acquiring bank to report your compliance status. Javin approach to PCI-DSS compliance is unique based on years of knowledge and experience, and is designed to take away complexity. We design a custom and tailored program to match the size and needs of your organisation. Please Click here to book a free strategy session with us to know more. 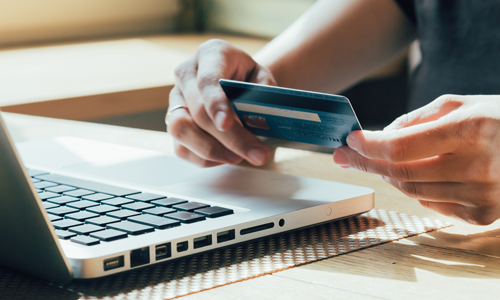 The key to achieve PCI-DSS compliance in a cost effective manner is to establish the right scope for the credit card handling infrastructure of an organisation. Using scope reduction techniques such as segmentation and reducing/eliminating credit card storage requirements etc, CyberDots can reduce the overall cost and effort to achieve the compliance. This is one of the many reasons why our customers achieve success in the PCI-DSS compliance journey with far less efforts. We provide gap assessment to show how the organization currently manages each control area against the PCI-DSS standard requirements. Subsequently our assessment also provides mitigation steps required to fulfill the gaps uncovered. It also involves architectural review as per the PCI-DSS guidelines, Our gap assessment report is a personalised blueprint for your PCI-DSS journey.